An Exploration of Central America by Motorhome. We wrote this book (and this web site) to encourage others to explore the fascinating places of Central America. Central America is much less developed for camping than Mexico, but nevertheless as novice motorhomers we found it easy to find camping places that were safe and enjoyable. We mostly boondocked, but here and in the book we list directions to full or partial service camping places for those who would rather have the security that goes with staying in established camping places (most of these take tent campers as well). We encourage anyone with new information, or updates to the information here or in our book, to send them to us at Updates@BrindlePress.com. We will post them here. Please visit our Updates and Links pages for the latest information. 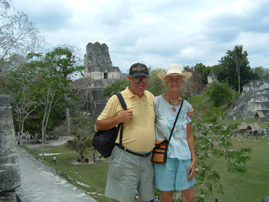 If you are driving to Central America we recommend a) Purchase our book, b) Purchase the Church's book on Camping in Mexico, b) Print our Camping Places Acrobat file which includes an expanded list of camping places and upates c) Check our updates and links pages for up to date resources. We recommend the ITMB maps and Footprint Guides. See other useful references. Listen to 30 Minute Interview with John & Harriet recorded for KKYX, San Antonio (10 mb)! See Asia Links for more information on traveling by tour or motorhome in Asia. Jordon and Egypt We went to the Middle East shortly after the "Arab Spring", in March, 2011. It was an incredible time to go: no tourists, no lines, and the people were overjoyed to see us! See Harriet's Article for stories and pictures. Motorhoming in China and Tibet, Vietnam! 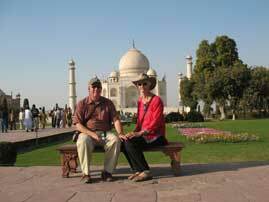 John and Harriet toured China and Tibet by Motorhome in 2007. See Harriet's 2011 Motorhome Article. 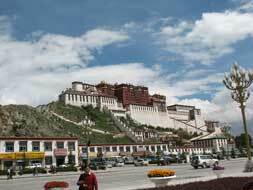 For a brief glimpse of our 5000 km RV tour of Yunnan and Tibet see our China page. You can also read about our 2006 trip to North VietNam! 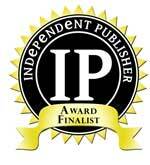 Check out presentation on "Writing on The Road"
Join 99DaystoPanama Yahoo! 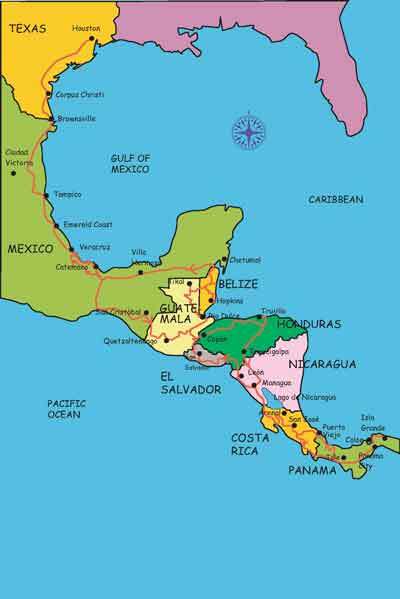 Group to join our forum for folks interested in driving in Central America and beyond!